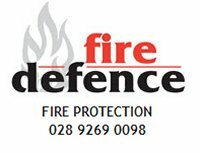 Fire Defence was founded in 1997 and is based between Dromore and Hillsborough. The company offer a range of services to clients throughout Ireland and the UK. Services include the supply and Service of Fire Extinguishers, Fire Alarms, Emergency Lighting, PAT Testing and the supply of Health and Safety Signage and First Aid Supplies. The company's Ethos is to offer a prompt and efficient solution for all the Health and Safety Requirements for their clients. By combining services and reducing visits, costs are reduced. Fire Risk Assessments. Emergency Evacuation Equipment. Fire Extinguishing Equipment. Employee Fire Safety & Awareness Training. Fire Emergency Planning..
We provide a wide range of locksmith and security services the domestic and commercial sectors of the community. With our extensive knowledge and installation expertise, we can efficiently and effectively handle any security needs you have. At present we are continuing to grow our administration and management of our commercial, contract and maintenance service accounts. We believe that we are competitively priced in this area..
South Antrim Alarms Ltd was founded in June 1979 making it one of the longest established independent security companies in Northern Ireland.. AUTOMOTIVE, COMMERCIAL & RESIDENTIAL ENTRY 'Break In' Repair / Lock Servicing & Fitting / Key Cutting Access Control / Biometrics / Alarm Systems Security Marking & Much more ....... Van Dead locks and Slam locks fitted * Free Security Surveys given at a time to suit you * Other services coming soon including vehicle re-coding and keying All enquiries welcom.